Nothing like some juicy ruins to get your emo on. 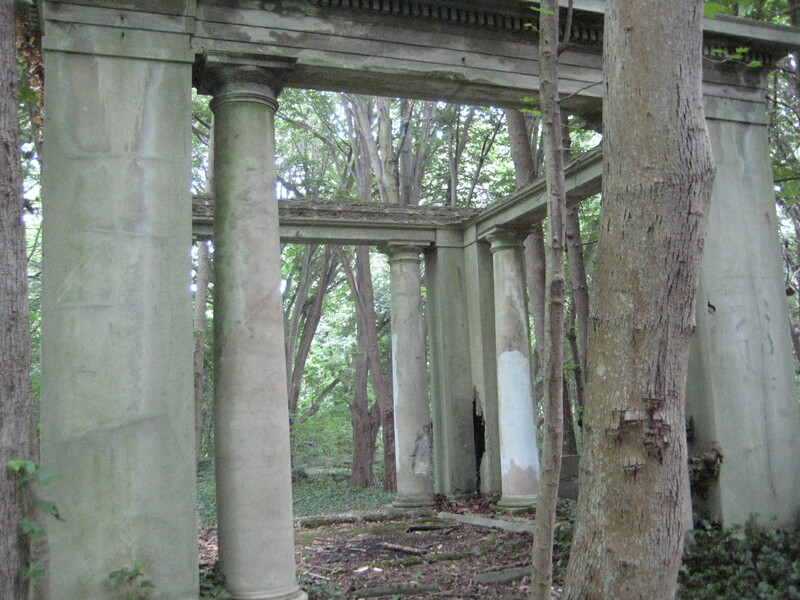 We drove out to Muttontown (which, despite that quaint moniker is quite the posh North Shore town–when you’ve got like, five equestrian centers in a two-mile radius, you’re not mutton so much as rack of lamb) which has a nature preserve, complete with forests, ponds, meadows, and…ruins. 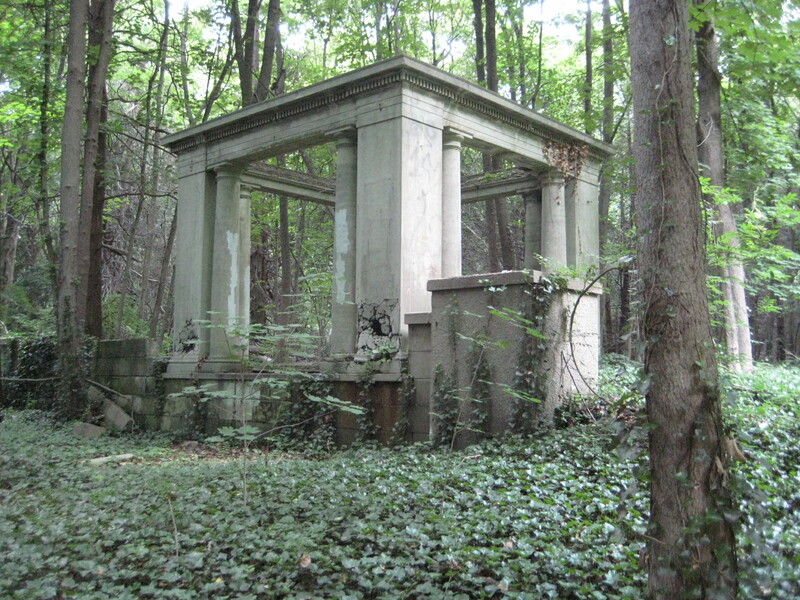 This of one of three remains of Knollwood–a once-huge palatial estate owned by King Zog of Albania, who paid for it with a bucket of diamonds and rubies amounting to something like $103k in the early fifties, and has since been burned, looted (although nothing was found), razed to the ground, and was the site of a 2001 murder of a 35-year-old woman. By the time we got to the ruins, we could examine them, but not really hang out because we needed to get back before the park closed–otherwise, I could have sat on the wall and wrote all kinds of bad poetry. Just as we got back to the car, the clouds rolled in and it started to rain, one of those classic summer rain storms with thunder and everything. And I swear, I actually wished that I could have been back at the ruins, having an aesthetic experience in the rain. Like a Meatloaf video. I live in LA (LBC, baby), write, study, cook, and make things. I'm a crafter who likes antique stores. I'm a new mom, new homeowner, newlywed...And I am indeed on a shoestring budget. This entry was posted in Inspiration, Musings, Travel and tagged Knollwood, Muttontown preserve, nature. Bookmark the permalink.